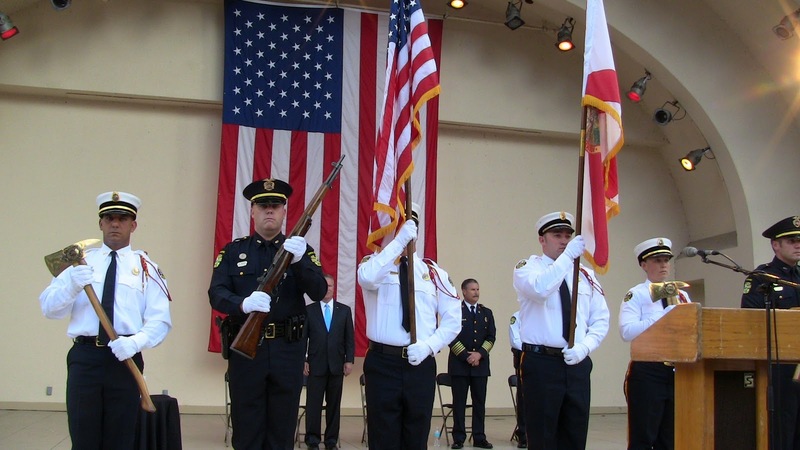 Orlando Mayor, Buddy Dyer, Police Chief, Paul Rooney, and Fire Chief, John Miller, speak about the tragic events and heroes of September 11th. 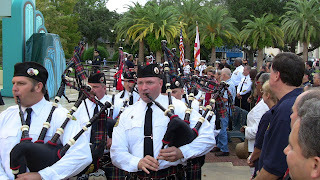 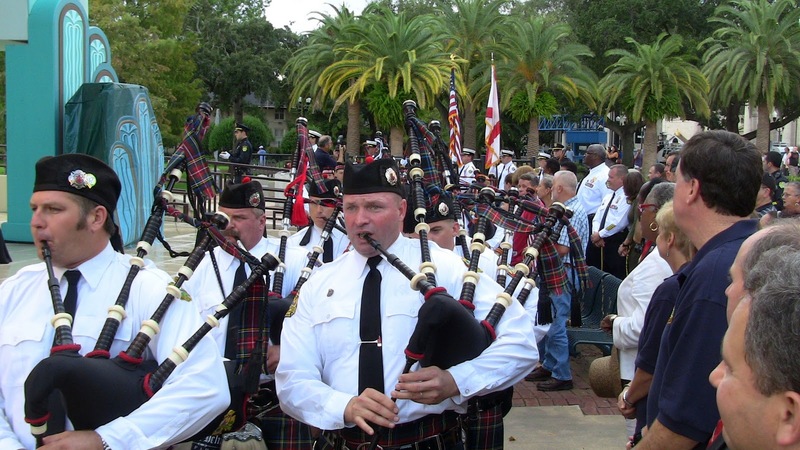 This ceremony was held at the Lake Eola amphitheater in Orlando, Florida on Sept. 11, 2011. 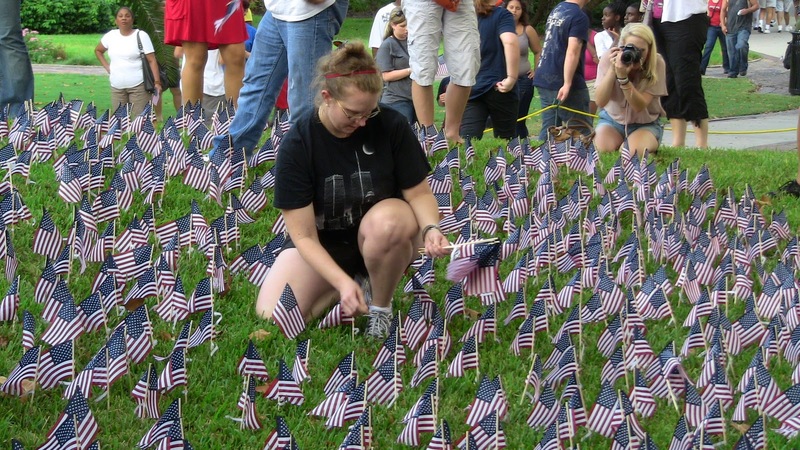 American flags with the names of victims of 9/11 were set out as a special tribute.